Bill Mantlo has a thriving legacy in comics and a lot of things are going on right now from it. A new Cloak & Dagger TV series is in the works, Rocket Raccoon is making his second film appearance starting Friday in Guardians of the Galaxy Vol 2, Rom: Spaceknight is doing well over with IDW and Dynamite is doing a Kickstarter to remaster The Swords of the Swashbucklers from Mantlo and Jackson Guice. 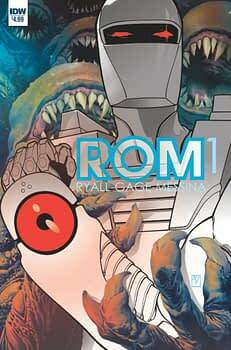 I got a chance to talk with the man who spearheaded the return of Rom to comics, IDW’s Editor-in-Chief and series co-writer Chris Ryall. DAN WICKLINE: Rom, Micronauts, Swords of the Swashbucklers, Cloak & Dagger, Rocket Raccoon, Invasion… Bill Mantlo was responsible for some of the most beloved characters and storylines in comics from 1975 through the late 1980s. What was your first experience with his work? CHRIS RYALL: At this point, it’s impossible to know which was the first. Partly due to faulty memory but mostly because Bill wrote just about everything at various times when I was a kid. The earliest thing I can recall would probably be a run on Marvel Team-Up — mostly notably this epic time-travel story with Spider-Man, Vision & Scarlet Witch, Doctor Doom and others back in the time of the Salem with trials. His long run on Hulk looms large for me, too, and so do his runs on Spectacular Spider-Man, the various Cloak & Dagger miniseries, and Micronauts, but I think everyone who knows me would expect me to cite Rom, Spaceknight as the one that stands out the most. DW: As a creator, did Bill’s work have any influence on you? Which series or storyline had the biggest impact on you and your work? CR: As the guy who championed the return of Rom to comics and the co-writer of his revival, it’s safe to say Rom had and has a big impact on me. IDW is probably the foremost producer of licensed comics now and one reason we put such a premium on our handling of licensed material is because of titles like Rom. Let’s face it—the toy was pretty crappy and the comic likely didn’t deserve to be anything special, either. But somehow, it transcended licensed comics of its day and became a series that was darker than a toy-based comic should’ve been, it had real stakes, it had great characters and some wonderful Sal Bucscema art for the first 4+ years… it just really made a mark on me as a kid. But in general, even when I was young, seeing the name “Bill Mantlo” in the credits was a sure mark of quality and competence — Bill wrote every character the way they should sound. He was great at capturing the proper voice for so many characters. He kept me wanting to turn pages. DW: What is it about Bill’s work that made it different and unique among the books being produced at the time? What do you think was his greatest strength as a writer? CR: I wouldn’t describe Bill’s work as “unique” the way I would someone like, say, Steve Gerber. Bill’s comics weren’t so drastically different than other work coming out of Marvel at the time but I mean that as a compliment. If a writer on an ongoing book missed a deadline and Bill needed to fill in at the last minute, the issue would fit in seamlessly. He wasn’t a unique stylist but more of a populist writer: he could adapt to whatever a writer was doing or what the general taste was at the time and head in good directions with that as a guide. And when given the space for ongoing series, he really made the book his own with interesting developments and good characters. 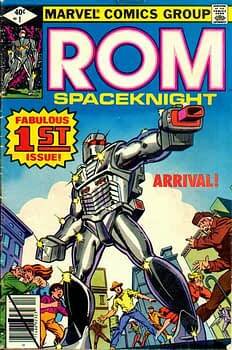 Like I say, he basically created Rom and the Micronauts worlds whole cloth and told captivating stories for years. He just wrote good comics, you know? DW: Since his tragic accident was over twenty-five years ago, a good number of today’s comic readers may have never read his work or only know him through his creations like Rocket Raccoon or Cloak & Dagger. What series or story would you suggest would best showcase Bill’s talent and why. CR: Well, Rom. Always Rom. But there’s also a newish collection of all his Cloak & Dagger series and they’re great fun—from the Spider-Man issues by Ed Hannigan to the different miniseries with great Leonardi/Austin art, those stories still read well today. And of course his long runs on Hulk and Spectactular Spider-Man are always worth a read. DW: Bill was a comic creator for over fifteen years and was also practicing law at the time of the hit and run. In an instant, his entire life changed. How does his personal story affect you or influence your decisions for your own life as a creator? CR: It affected me greatly, first as a fan who felt terrible about what happened. Bill had plans for a life beyond comics, one that would involve helping people in different ways, and was struck down in such an awful way. One thing that’s been gratifying to me these past few years in my constant talking about Rom is, first, being able to proselytize about Bill’s comics in general and Rom in particular. But more than that is I’ve gotten to know Michael Mantlo, Bill’s brother, a bit. Michael has put Bill’s longterm care at the forefront of his own life and I can only imagine what sacrifices he’s made and what he’s had to deal with. But being able to send Michael copies of the big, fancy Bill & Sal Hulk book that we produced or copies of our Rom book (complete with ads directing people how to donate to Bill’s care) has also been a really special thing. When Michael sent me a photo of Bill holding our Hulk book with a big smile on his face, it touched me in a way that’s hard to express without getting choked up all over again. It reminded me once again how special this industry is and how important it is to help, to give where you can, to help all these creators whose work meant/means so much to us. 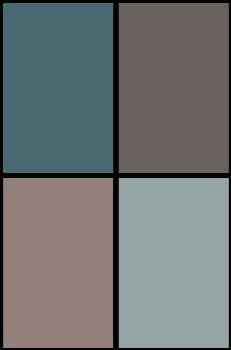 DW: Being a comic creator is living life without a safety net. There are groups like the Hero Initiative, or the folks behind the Swords of the Swashbucklers kickstarter, that are trying to help creators like Bill. But is there more that can be done to help the people who created so many of the characters we still enjoy today? CR: There’s always more that can be done. You asked before how Bill’s personal story affects me and partly, it just makes me so happy to contribute to the same industry as Bill, as well as the feeling it gives me to keep Bill’s work alive in whatever ways I can. But in a larger sense, it’s one of the more extreme examples of how so many creators we loved as kids aren’t all experiencing the most golden of golden years. Comics for so long has relied on the efforts of freelancers who are left to fend for themselves as far as planning for retirement and procuring affordable living and healthcare. And for many reasons, a lot of these creators do need additional help. So giving to the charities, buying their work that can still net them royalty checks, or whatever other ways exist to help them out feels to me something we all need to do where we can. I’m happy to see Swashbucklers back in print because it was such good material but also because Dynamite is doing good things with the Kickstarter and helping Bill directly, too. It’s a great thing they’re doing.